2 days ago SOny Mobile rolled out Android 5.1 Lollipop update to Xperia C4 unexpectedly. Today another Xperia device which planned to go to Android 6.0 directly form Android 5.0 got the Android 5.1 update. 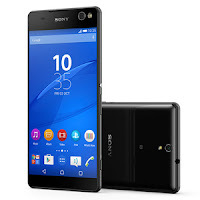 All the variants of the handset are receiving the Android 5.1 Lollipop updated as Xperia C5 Ultra with the variants E5553, E5506 updated to build number 29.1.A.0.87 and Xperia C5 Ultra Dual with the variants E5533, E5563 updated to build number 29.1.B.0.87. So if you've got the update let us know about the change log and your impressions of the update. feel free to use the comment section.